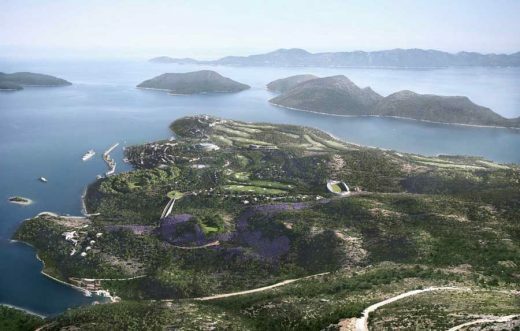 London architects ‘Studio RHE’ recently completed their work designing the Masterplan and individual buildings at the ‘Three Sisters’ site in Croatia, 12Km. North of Dubrovnik. ‘Three Sisters’ is a grand proposal for an all new resort town and marina set amongst the hidden coves and dramatic vistas of the Dalmatian coast. 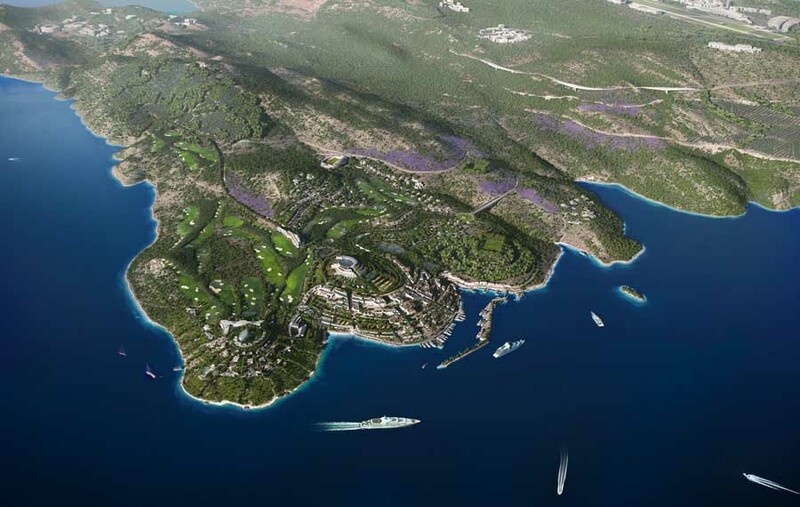 With a proposed overall site area of 5,000 Ha the project aspires to be the most ambitious new development on the Mediterranean since the Aga Khan set his eyes on the grounds for Puerto Cervo in the 1960’s. The spectacular site enjoys unspoiled views back towards Dubrovnik as well as many of the 1,200 islands, which make this area a favourite with yachtsmen and international travellers. Blessed with a near perfect climate of sun-shine and cool sea breezes, the site offers enormous potential for environmental design and is hoped by Developers ‘The Profectus Group’ to become the ‘World’s Greatest Sustainable Development’. The site is located off the brand new Adriatic motorway linking Split with Dubrovnik – providing easy access to the transport hubs, historic sites and costal resorts central to Croatia’s increasing popularity as a tourist destination. 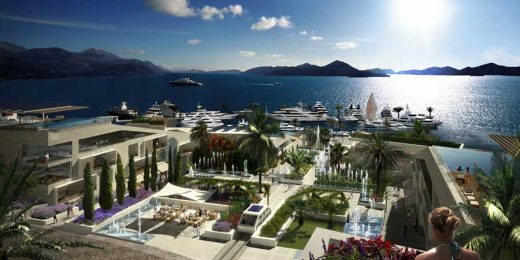 The initial design was launched at this year’s MIPIM in Cannes, creating great interest in what is a fast developing region of outstanding natural beauty. Following an intense briefing period ‘Studio RHE’ amended earlier calls a for a more intensely developed area, instead making a strong case for restricting maximum build heights and limited footprints. To ensure the sustainable nature of the development the design embraces local biodiversity bringing people and nature together. Working together with London based Environmental Consultants ‘PHA Consult’ (who were also part of the Mazdar Zero Carbon City Design Team), they have created a scheme which is clearly informed by the local topography and local building materials – creating a new modern urban centre emerging from the waterfront promenade and marina, opening to a hilltop park and central ‘circus’. The new design has also embraced the local region’s love of organic foodstuffs with both olive groves and vineyards placed around the facilities, which include cultural and commercial centres and a new golf course and small stadium. 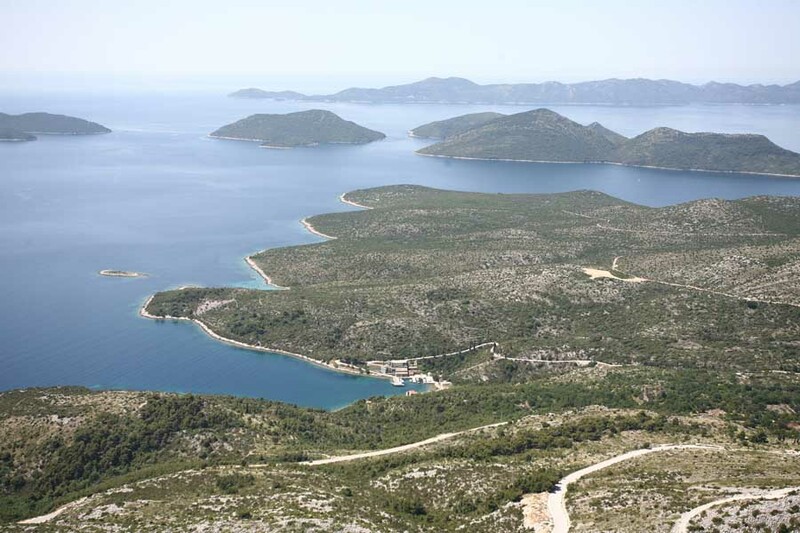 The project was recently formally presented by the Chairman Vicenco Blagaic to leading Croatian politicians including the new Prime Minister Ivo Josipović and the scheme has subsequently progressed to both the local and Regional Planning offices. 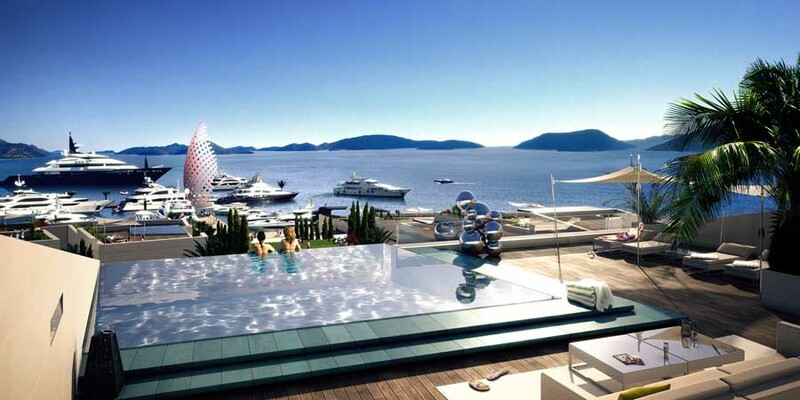 Over 30 of the world’s best known and high profile architects have attended presentations and workshops on the site over the last 18 months to discuss the opportunity of working on the Project, and a selection list has been compiled for each of the buildings within the Masterplan of 500,000m2.